Jon Robin Baitz's plays include The Film Society, The Substance of Fire, Three Hotels, A Fair Country, Ten Unknowns, Mizlansky/Zilinsky, a new version of Ibsen's Hedda Gabler which was produced on Broadway in 2001, and The Paris Letter. 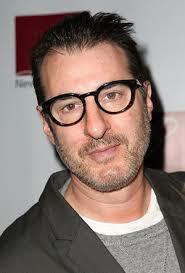 He is the creator of the hit ABC TV show Brothers & Sisters, which he also executive produced for the first two seasons. He is currently writing and executive producing a mini-series for HBO about the selling of the Iraq war to the public, entitled Bush's War. His PBS film version of Three Hotels won a Humanitas Award. Other screenplays include The Substance of Fire based on his play, and People I know, which starred Al Pacino. He has also written episodes of West Wing and Alias. He is a Pulitzer finalist, a Guggenheim, and NEA fellow, and American Academy of Arts & Letters Award winner, a founding member and a former artistic director of New York's Naked Angels theatre company. His new play Love & Mercy will be produced next season on Broadway. His work has been produced in New York by Playwrights Horizons, The Roundabout Theatre, Lincoln Center Theatre, & The Second Stage.